The Pyrenees are neither as high nor as glamorous as the Alps, the ski stations are smaller and the nightlife is generally harder to find, but as a summer or a winter holiday destination they really do still have so much charm and authenticity. 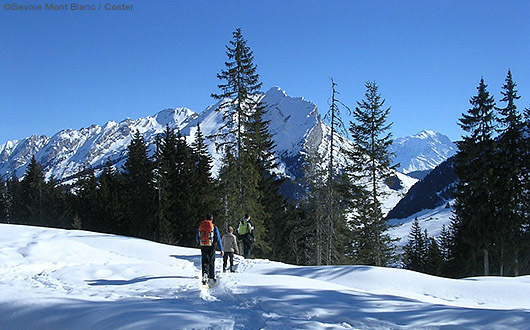 We take a look at how snowshoeing with a guide in the Pyrenees can give you the freedom to explore these magnificent peaks alongside a small group of people who share your sense of adventure. …if you want a break from grey skies this winter but you don’t fancy downhill skiing, why not give snowshoeing in the Pyrenees a try? The atmosphere in the Pyrenees is relaxed and low key, so as soon as you touch down you’ll feel as if you’re ‘abroad’ and refreshingly away from it all. Every day, whether you’re in France or Spain, tourists still rub shoulders with locals. In the villages or the mountains you’re much more likely to hear the local language than English or Russian, and it’s very easy to find locally produced cheese, meats, honey and other tasty delights. In fact, local life in its calm and understated fashion is still thriving – in summer you’ll never have to go far before you come across a shepherd with his trusty Pyrenean Mountain dog. If you’re considering the Pyrenees for a winter break then the ski slopes certainly aren’t the only option. Snow-shoeing is a wonderful way to discover the full, snowy magnificence of the area. Trappers first used this mode of movement across the snow as they hunted in the winter, and it remains a simple but incredibly enjoyable and uncomplicated way of walking in winter. 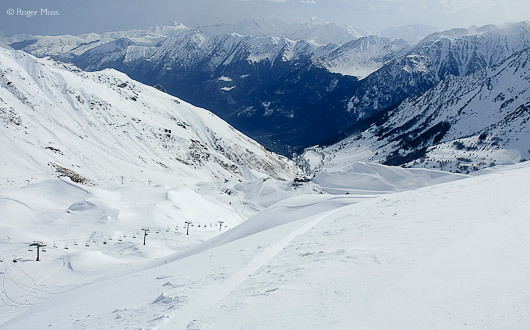 The Pyrenees have hundreds of kilometres of way-marked snow-shoeing tracks. In the Hautes-Pyrenees there are possibilities in the Payolle, Cauterets and Gavarnie, to name but a few, while in the Pyrenees-Atlantiques you can find tracks at Somport and in the valley d’Aspe. 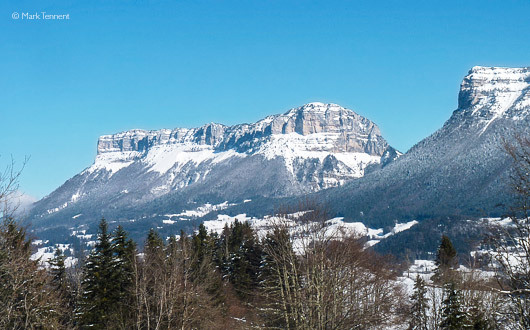 There are also free-to-access ‘pistes’ in the Haute-Garonne, the Pyrenees-Orientales and in the Spanish High Pyrenees, but why not make your trip more interesting and try snow-shoeing off the way-marked tracks? Going on a guided snowshoe holiday means you can leave the waymarked trails in safety and discover magnificent winter scenery that most people don’t get the chance to see. You’ll find a good selection of guided walking holidays on Purely Pyrenees. 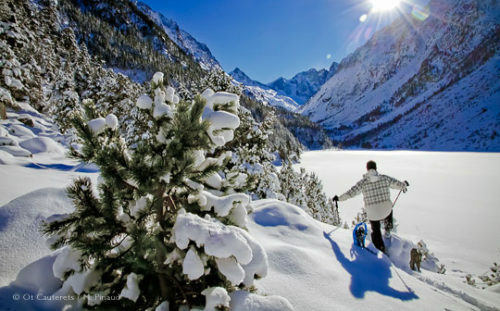 The Pyrenees offer a host of self-guided trails if you want to try snowshoeing for yourself. The Pont d’Espagne near the ski resort of Cauterets is a good place to have a go or the exceptional natural ski area at Hautacam. A snowshoe walk is a great alternative to a day on the slopes and most ski areas offer guided walks which include a quick lesson to learn the basics. If you want to snowshoe ‘off-piste’ then by far the safest and most enjoyable option is to join a guided group. Although snow-shoeing is very simple – basically just walking – there are still some great tips that an experienced guide can give you to make the experience less tiring and even more fun. Other plus-points are, of course, benefiting from the guide’s local knowledge, staying safe, and the rewarding experience of walking with, and getting to know, a new group of people who more often than not have the same sense of adventure and enjoyment as you. 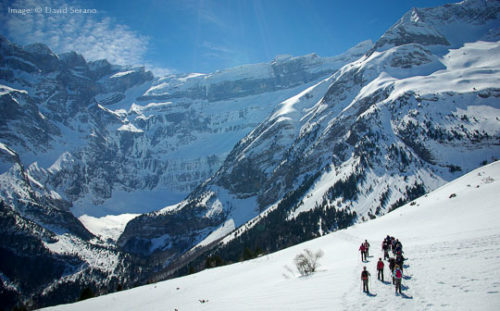 Generally a snow-shoeing group will have from 5 to 15 people. 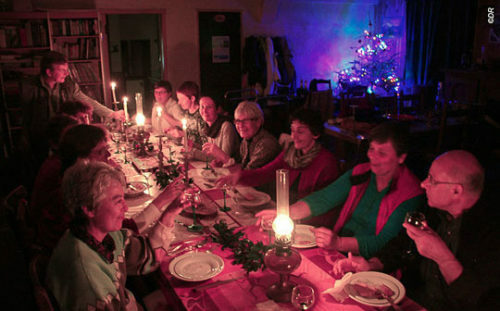 Another benefit of a guided group holiday is that generally you are looked after from the moment you arrive, which makes the whole experience very relaxing and stress-free. Airport transfers, equipment hire, accommodation and meals are all taken care of, so all you have to think about is soaking up your surroundings and taking lots of wonderful photos. 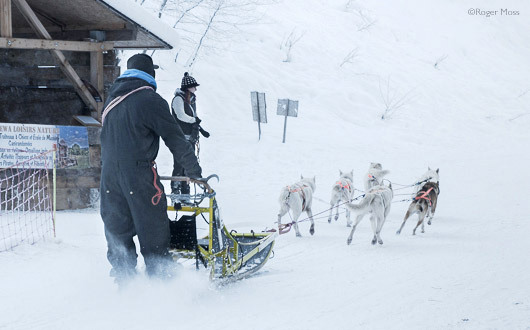 Once you’ve booked a snowshoeing holiday a little physical preparation can go a long way. If you’re not a regular hill walker it’s well worth adding some extra activity to your routine during the weeks before your trip. Make the effort to either walk up hills or to always take the stairs. Cycling is great exercise to increase your leg strength, although there’s no need to go mad! In terms of equipment, the most important item is a pair of walking boots which protect the ankle and are in good condition. Skiwear is not suitable for snowshoeing, or you’ll only need to walk up one hill before you start sweating buckets! As for normal hiking, layers are the order of the day. Light, quick-drying material is best, with a warm fleece or quilted coat, but with lightweight rainwear for the top and bottom – and don’t forget your sun cream. 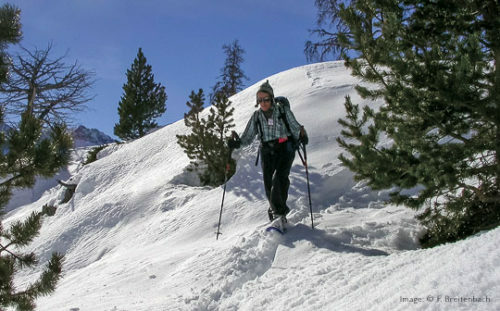 So, if you want a break from grey skies this winter but you don’t fancy the expense or the faff of downhill skiing, why not give snowshoeing in the Pyrenees a try? Ryanair offers weekly winter flights from London Stansted to Lourdes. You can also fly into Toulouse with Easyjet, Ryanair, Flybe or British Airways from several UK airports. 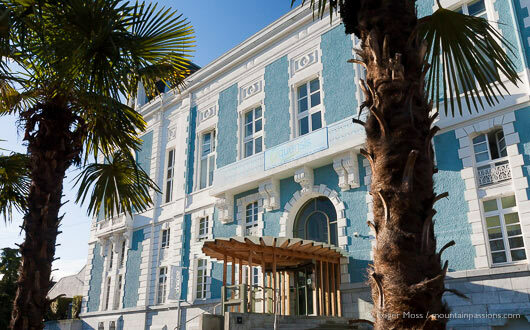 Book your Eurostar train to Paris then fast TGV train to the French Pyrenees with . Hire a car in advance or book a seat on a shuttle service to your destination. A long journey from the UK, best taken over a couple of days though possible from any of the western channel ports via Bordeaux with two drivers. The relatively recent A65 between Langon and Pau has shaved an hour off the old journey time (toll route).